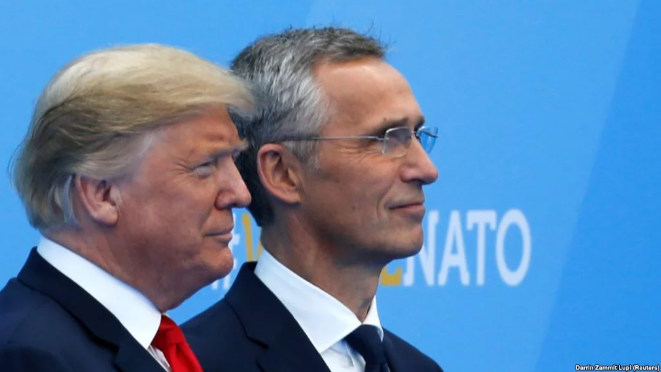 NATO Secretary-General Jens Stoltenberg met with the U.S. President Donald Trump within his visit to Washington to mark the 70th anniversary of the North-Atlantic Alliance. During the meeting, Trump expressed hope for “good relationships with Russia”, as Radio Liberty reported. “I hope we have good relationships with Russia. I think we will get along with Russia,” Trump said. It was noted that Trump said about a desire to improve relationships with Moscow after the commentary of his administration about Russia being a threat for the Alliance and the U.S.
“A few hours before Trump said it, the official form the State Department said that Russia’s threat for the West and the U.S. will be the main topic of discussion of NATO Foreign Ministers on April 4 in Washington,” the message says.